There is an emotion that lives inside me now that I can’t really describe. Is a mix of heartache, anxiety, helplessness and feeling overwhelmed. I feel sometimes I live a double life. One with my older girls and friends being myself and another in this adaptive world we have created for Isla. Even when away from autism I still feel like I live it. There is no escape and I have changed. I talk, I try to educate to try and give an insight into how I am feeling. People are interested and engaged but they don’t truly understand and they can’t. A bit like describing a country you have visited but without having the experience you can only imagine what it is like. Everyone has their own struggles. A lot of kids have learning and social problems. Others have health issues and live in pain. Some are starving in the world and have no parents. I feel guilt for even feeling this way sometimes as I am grateful for Isla. I am grateful she can walk and talk. I am grateful that she is healthy. I am grateful she is loved. But the feeling still doesnt go away. It’s not the day to day. Isla is delightful, amusing, loving and gorgeous but it’s like living in a parallel universe. We live very much in a bubble with Isla being in a satellite class at school and attending activities for kids with additional needs. When she was in mainstream there was a daily reminder of her differences. They say they gap gets wider and it most definitely does. You see all the children growing up while yours stays very much like a toddler in some ways. I think that is also why those trigger events hit me harder as Isla’s world has very much become the new normal. I am not writing this for sympathy or even to get others to understand but to highlight to other parents going through this that having this emotion is normal. There is actually a term for it its called “Chronic Sorrow”. It’s the smallest things that can highlight “what is” versus “what should have been” and brings out all sorts of emotions…. anger, sadness and grief. Caregivers with family members with ongoing illnesses or couples experiencing infertility can often have the same feelings. It can strike at any time and it can be from the smallest trigger. It can be the usual things like when you see other children of a similar age performing at their first dance concert, playing their first game of netball or soccer or having regular sleep overs with their friends. Or it can happen when your child struggles to tell you what they did at school, get dressed on their own or you see them struggling to relate to a peer of the same age. This term “chronic sorrow” was first introduced in the early 1960s by a counsellor (Olshansky) of parents of handicapped children. He observed that parents may suffer from chronic sorrow throughout their lives as a reaction to both the loss of the expectations they had for the perfect child and the day-by-day reminders of dependency. Sometimes called a “living loss” because it doesn’t go away, chronic sorrow may stay in the background while the family does their best to incorporate the child’s care into their usual routine. If a medical crisis or event occurs which magnifies the loss and disparity between reality and the life once dreamed of, it can trigger a return of the profound sadness. My particular response to feeling this way, after a seizure for example, is to get proactive and try and seek more answers for the helplessness I feel. This often leads to frustration as am confronted with the lack of solutions and services our public system can provide us. I know Isla is way behind academically but in our world we celebrate the small milestones and successes. However when I am put in a situation when I am faced with how far behind she is, this leads me to research possible education paths and testing. However this brings back the realisation we cannot rush her development or cure her and there is a fine line between helping her learn and putting her off altogether. And so the cycle continues. I feel fortunate that Isla has older siblings where I have been able to experience what “normal” feels like but I’m not sure whether that makes me all more aware of the differences. Support groups help both on Facebook and talking to other parents in the special needs world as many of us feel the same. Family friends where you can all be yourself with no judgement is so important and I cherish my friends who provide this for us. I believe along with this “chronic sorrow” comes the opposite emotion of intense joy. I have definitely changed as a person with greater personal strength, wisdom and confidence. 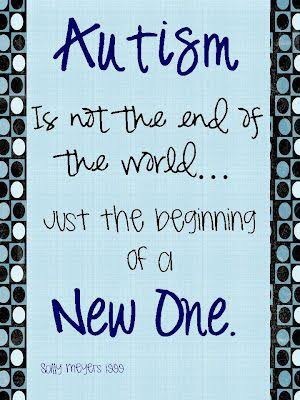 I have learnt to advocate the best care and services for Isla and have found a part of me that I never knew existed. I’m right there with you. It’s a constant cycle of grief. We’re so grateful Amelia is here and a little bundle of sunshine but we’ll always grieve what she could have been. Hi Sara, There is nothing as your Mother that I can say to that will give you comfort for what you have written is indeed the reality of the situation. Like you I would do anything that is possible to change this situation but sadly that is not possible. You have been nothing short of magnificent in championing all possibly areas of assistance to get help with Isla’s development. I can only encourage you to celebrate her improvements, love her as you do, reach out for help, protect yourself as much as possible, slowdown a little and draw on those always willing to help and listen. As her Parents the ultimate responsibility rests with you and Gareth but your maternal bond increases that responsibility and can and does overwhelm you at times. I pray for Isla daily and as you have stated we are grateful that she is making progress, has a happy family life and is celebrated for the unique and adorable personality that she is. Rest in the knowledge that you have done the very best you can for your daughter who is blessed by the family she has arrived in. I don’t want to cross the line so only this time. I won’t pretend, I can’t imagine what it’s like to be in your situation. However, I really think Isla (and her friends too) is so blessed to have a beautiful parents like you guys. I as a parent myself, every time I see you and your gorgeous daughter, makes me rethink about my interaction with my children. Am I putting too much pressure? Am I asking too much? Am I forcing my opinion to them? Am I giving enough support for them? Some times I forget they are a different person with full of personality and you are the one who reminds me all these important questions. So, Thank you. Isla is naturally very caring and nurturing girl. (It’s so evident that she can’t even lie!) I adores her honesty and pure kindness. There are so many qualities that other people doesn’t have in yet she has. Your children are the living proof of who you are. You don’t have to be strong all the time. It is ok to have a doubt in yourself and have a melt down every now and then. I do all the time and my concern is no where near as yours!! You have brought up three beautiful daughters and that’s a good enough evidence of who you really are. You are inspirational to every mothers out there. Thank you Sarah. Ps. Knowing you are the grammar queen… Forgive my poor English… Hope you get what I wanted to say.